“Preventing Extinction One Member at a Time is our Membership there for the 2018 – 2019 administrative year. As we begin this new calendar year, we can't loosen up on our membership efforts. By now, any members who have not paid their 2018 dues are considered expired members. Missing these dues will be a problem if the member should find themselves in need of assistance from the Auxiliary Emergency Fund. Please let us know if there is anything we can do to help in tracking down some of these delinquent members. The De-partment membership team will be reaching out to Units, Districts, and Divisions in an attempt to reduce this decline in membership. I hope many of you will be joining us on our Winter Family Caravan. 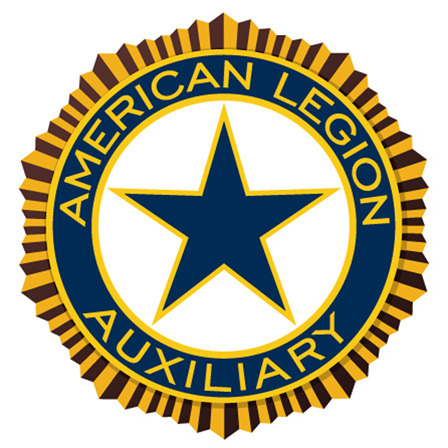 Remember that we truly mean FAMILY Caravan and would love to see as many Auxiliary members in attendance as there are Legionnaires. Past Na-tional Commander Denise Rohan is an amazing and inspirational speaker. As an incentive for another push in membership collection, we will be awarding the Unit turning in the most membership at each District stop a voucher to cover the cost on per capita for one Senior Member. (a $23.00 value). As we spend this year trying to Respect, Conserve, and Preserve our organization, we would like to focus not only on increasing our membership numbers, but also the member experience. As we continue to work on our culture of Goodwill we are being challenged to move on to Respect and Civility. National President Kathy Dungan and National Membership Ann King-Smith are encouraging units to be in contact with their new members specifically at least twice within their first 90 days of membership, one being within the first 30 days. Watch the ALA Today and Department website for recommendations on how to increase engagement and the membership experience. National will continue waive the per capita for Female Veterans for their first year of membership. An additional change from National is that anyone paying their dues on-line will be receiving not only a temporary card, but also a permanent card. Units should still send out the cards they have received from Department. KATHY’S KITTENS THE CATS MEOW PLAQUE – to the Unit with the highest percentage of membership by January 1st. DOUBLE D BOOT KICKERS PLAQUE – to the District for the highest percent of membership by opening of Department Convention. PAT’S KNIGHTS PLAQUE – to the Unit for the highest numerical gain in Junior membership by July 1st. • Free Patriotic Lunch for any District President/Vice President and Division President/Vice President who are goal by opening of Patriotic Conference. Convention, (if not goal at Patriotic Conference). Two $250 awards drawn for Units that reach or surpass their goal by opening of Department Convention. Personal Award: $10 to the unit reporting the most off-site recruitment events. What is our Goal for the coming year? National has given us a goal on increasing membership by 2%, so this is the what we will be using. You can find this number by multiplying your 2018 membership by 1.02. By using this scale, our small units that are struggling to maintain their membership will have an equal chance of making goal as do our thriving units. To show growth, units will need to increase by a minimum of 1 member. For example: Units of 74 members or fewer will need to add 1 member for goal. 75 – 124 members will increase by 2 members to reach goal.